Why do some blogs have thousands of readers daily, while others struggle to break a dozen page views for each new article? The difference is often in the social media and marketing efforts used to promote content. A decade ago, simply blogging well and often was all it took for word to spread. Now, a content creator’s biggest challenge is gaining the attention necessary to get more subscribers. Your readers and Google love fresh content, and it’s much easier to build authority if you’re posting on a regular basis. As Vaughan points out, “truthfully, the most successful blogs publish content daily - or multiple times a week.” You should never let your commitment to quality slip in order to take a more aggressive approach to your content calendar. However, if you’re only publishing occasionally or erratically, being more consistent could help you get more subscribers. While blogging frequently is certainly a step in the right direction, remember, no one has time to read your content if it isn’t outstanding. Goins writes that consumers “are no longer hungry for content.” No one needs to read something that’s less than fresh. If you’re not investing in quality blog articles, adjust your quality standards to get more subscribers. No one should ever spend time reading your content, share with their friends, and then leave your website because they couldn’t figure out how to become a subscriber. Include a clear option to subscribe by email above the fold, which means website visitors don’t need to scroll to find the option. Who wouldn’t act for free stuff? Exclusive, list member-only promotions can be an effective way to get more subscribers. Stauch suggests considering an eBook or resource list as a way to help your email list skyrocket. Consumers have enough information in their world. Your blog needs to add value, and Halpern defines that concept perfectly: “you don’t need unique ingredients. You need a unique recipe.” You might be one of 30, or 30,000 blogs in your industry covering the same topics, but you need to be covering them differently. Add your own perspective and branding to get more subscribers by offering a unique value proposition. If your blog focuses on a dozen different topics in a single week, you’re probably maximizing your traffic, but doing nothing to get more subscribers. Blogging expert Baer has found “the narrower your content focus, the more likely you are to drive sharing and subscription behaviors.” You may have to sacrifice variety to dive deeper into your subject, but it will likely pay dividends in authority, SEO, and subscribers. 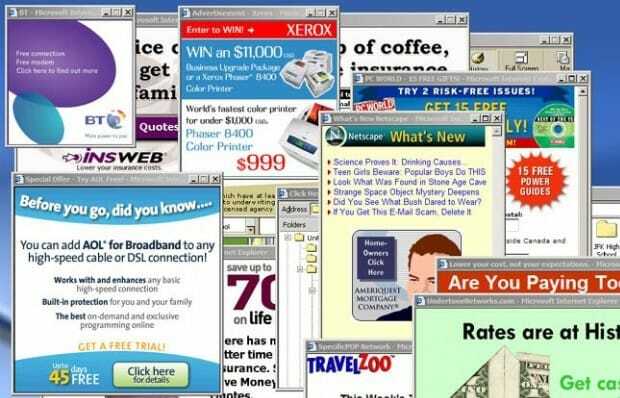 While pop-up windows can be obtrusive or obnoxious, they can also be a powerful tool to get more subscribers. Ensure it’s easy to close the pop-up to avoid irritating any website visitors. Atkins reports that 65% of his blog subscribers come through his site’s pop-up. Your Facebook fans, Twitter followers, LinkedIn connections, and email list already like your brand, and trust what you have to say. Have you asked them to become subscribers? Maksymiw recommends targeting your lowest-hanging fruit first, and reports that contacting in-house lists about becoming a blog subscriber can yield 20-30% conversion rates. Your business blog can’t thrive without regular readers, and increasing your subscriber count is a key step towards building an engaged audience. While this list is by no means comprehensive, applying these tactics will certainly assist in your goal to get more subscribers. We’re curious - what tricks have you successfully used to get more subscribers? Great tips here. 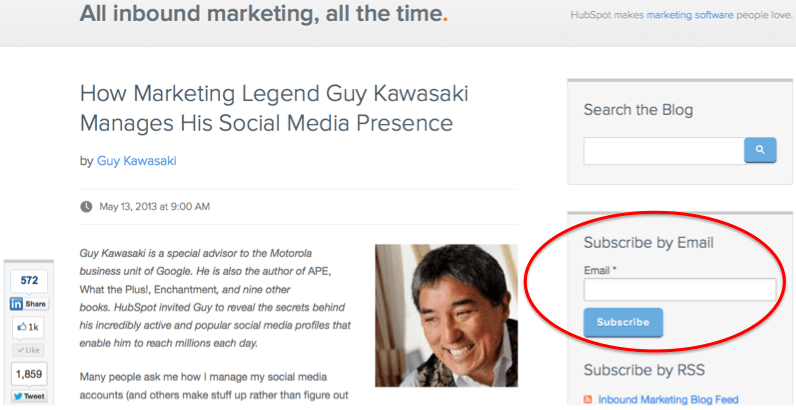 Guest posting is definitely the most effective way I’ve found of gaining a high-quality audience. It can be as simple as reaching out to friends who have their own platforms, or even professional connections, who would be willing to feature you writing in front of their larger audience. Thanks, Jon. Glad to hear you also find guest blogging very effective tool for reaching new (and what is more important – targeted) audience. A lot of good tips here. However, using a pop-up is more than just obnoxious or extremely annoying, it’s damaging to credibility.